CINCINNATI (AP) Reliever Michael Lorenzen hit the second grand slam by a Reds pitcher in a week, and Cincinnati pulled away to a 12-3 victory Saturday that ended its seven-game losing streak against the Milwaukee Brewers. Lorenzen’s pinch-hit grand slam off Jacob Barnes in the seventh inning completed an eight-run rally – Cincinnati’s biggest of the season. Lorenzen’s fifth career homer drew a curtain call from the crowd of 24,640. The reliever has homered in his last three at-bats. He also connected Friday during Milwaukee’s 8-2 win. The Brewers’ bullpen couldn’t hold a one-run lead in the seventh. Cincinnati’s first eight batters reached safely against three relievers, with left-hander Mike Zagurski (0-1) taking the loss in his first major league appearance since 2013. With the game out of hand, Milwaukee catcher Erik Kratz moved to the mound for the eighth inning – his third career pitching appearance – and gave up a pair of runs. The NL Central leaders were missing two starters. Christian Yelich left Thursday’s game with back tightness, and Ryan Braun came out of Friday’s game with the same issue. 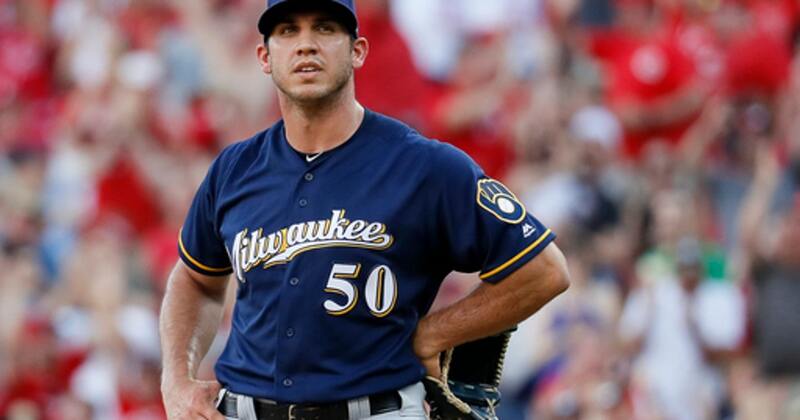 Brewers manager Craig Counsell said both were doing better on Saturday.